Although complete growth plate closure is not necessary for progression to pointe, early progression can injure growth plates and even interfere with proper growth. This is one of the main concerns about starting a child in pointe shoes too early, as their growth plates are still open and growth is still rapid. As growth gets closer to completion, the growth plate will grow at a slower rate and become more stable. s not as structurally sound as bone, there is higher risk of injury while these plates are open. Growth plate closure varies from individual to individual, but usually will not be complete until anywhere from 11 - 16 years of age. 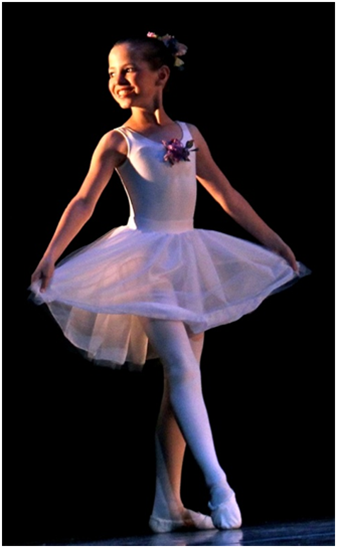 These ages should be considered, as well as x-rays evaluated prior to progression to dancing en pointe if under the age of 16. Dr. Gibson does not require complete fusion of growth plates to progress to dancing en pointe. In fact, he recommends not starting pointe shoes before the age of 11, although most dancers may need to wait longer. Careful evaluation and testing is imperative to protect the dancer and still allow the desired progression.